MM Carpentry - Builder based in Bournemouth, Dorset. 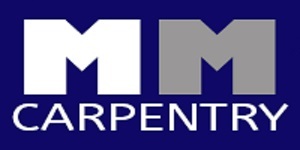 Welcome to MM Carpentry, established since 2003. Martin Mair, the founder of MM Carpentry, has been in the trade industry since 1993, giving him a wide range of knowledge and experience enhanced by his expert team of tradesmen. We pride ourselves in our work and ensure each job runs smoothly to a high standard, whilst maintaining maximum customer satisfaction brought to you by our fully certified and insured team. Please get in contact for your free quote.